SQL Servers are one of the most important server roles for storing mission critical application data for your business! Support multiple users over a wide network with high-quality HP and Dell SQL servers from Aventis Systems. SQL servers function as an interface between the user and the database empowering developers and IT Professionals through granularity of queries, self-learning analytics, better performance, and data security! However, picking your perfect SQL host specifications can be a pain. Aventis Systems is here to help with our TurnKey SQL Server! 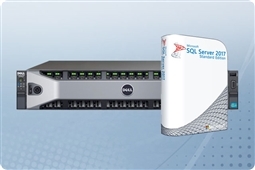 These custom Dell and HP SQL Servers have configurations made for speed and performance for your mission critical application data with fast Dual Intel Xeon processors and tons of solid state drive storage! Additionally, each customized SQL Server database configuration comes with a single server license of Microsoft SQL 2017 Standard installed to get you started! 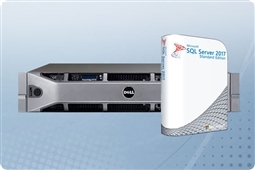 Plus, with upgrades available to each SQL Server configuration’s components you are guaranteed to find the ideal option to meet any of your query and data basing hardware requirements. Aventis Systems is proud to offer all our custom SQL Servers with a standard 3 Year Aventis Essentials comprehensive warranty with upgrades available to Express NBD parts replacement and Extended Warranties as well as Onsite Hardware Support. You also get to take advantage of our virtualization expertise and cloud services that make seamless product deployment and migration swift and easy. Our skilled customer service representatives provide personalized support and guidance throughout the planning, procurement, delivery, and deployment stages as well as outstanding technical support throughout the life of the servers. So, shop below and see how Aventis Systems can help you Get IT Done with our custom TurnKey SQL Server Solutions!